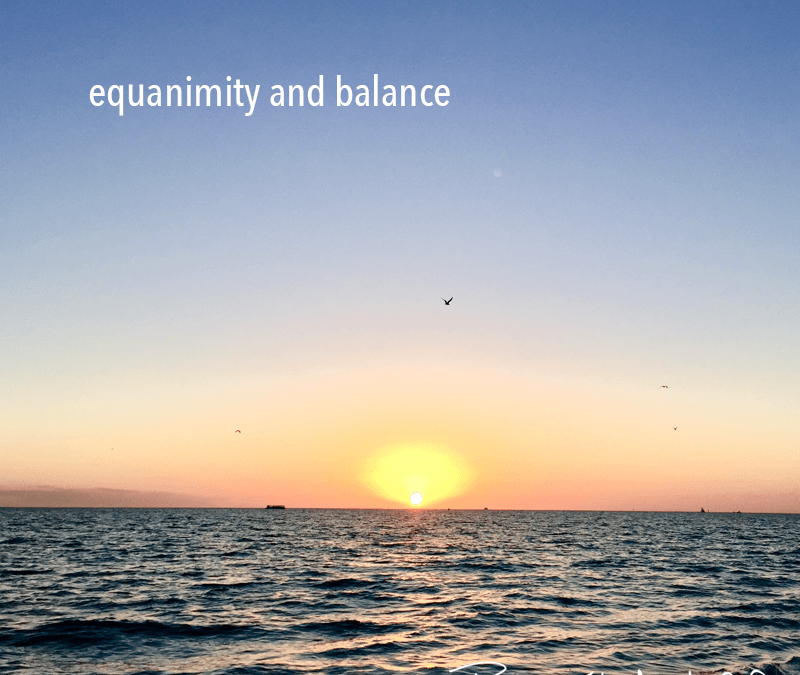 I never really liked the word equanimity. It seems like an awkward word, difficult to spell and pronounce. I preferred the word balance. Then I realized that equanimity means the wisdom of equality. A balanced mind is an open mind, with an open heart. Envy is the biggest emotional block to equanimity. You feel that something is missing, and see it outside your self, whether it’s a new car, or the perfect body. You are lost in the belief that what you have, and who you are, isn’t good enough. You see the world as the haves, and the have-nots. This is a miserable place to exist. The next time you are unbalanced and out of sorts, think of something you are grateful for, something simple, like a beautiful sunset, or a favorite animal, even a pet. Come back into balance. Love, joy, kindness and equanimity are the qualities of an open heart and an open mind.